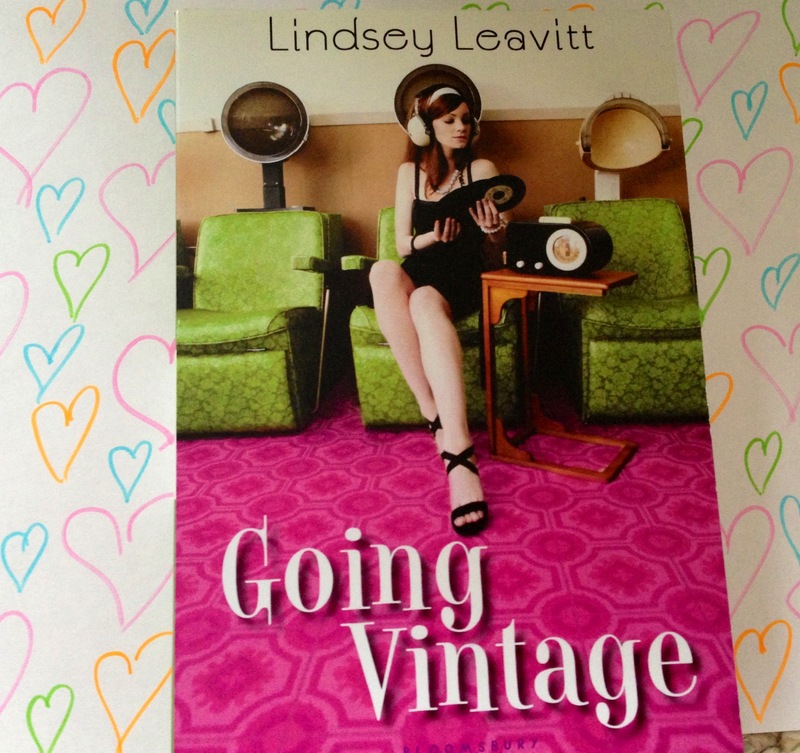 Spoiler: I’m giving away an advance copy of Going Vintage by Lindsey Leavitt at the end of this post! From around age 8 to age 18, Valentine’s Day was my favorite holiday. I loved making cupcakes with pink frosting, picking out cards and candy to give to my classmates, and getting presents from my mom. More than all of those things, though, I loved the anticipation. 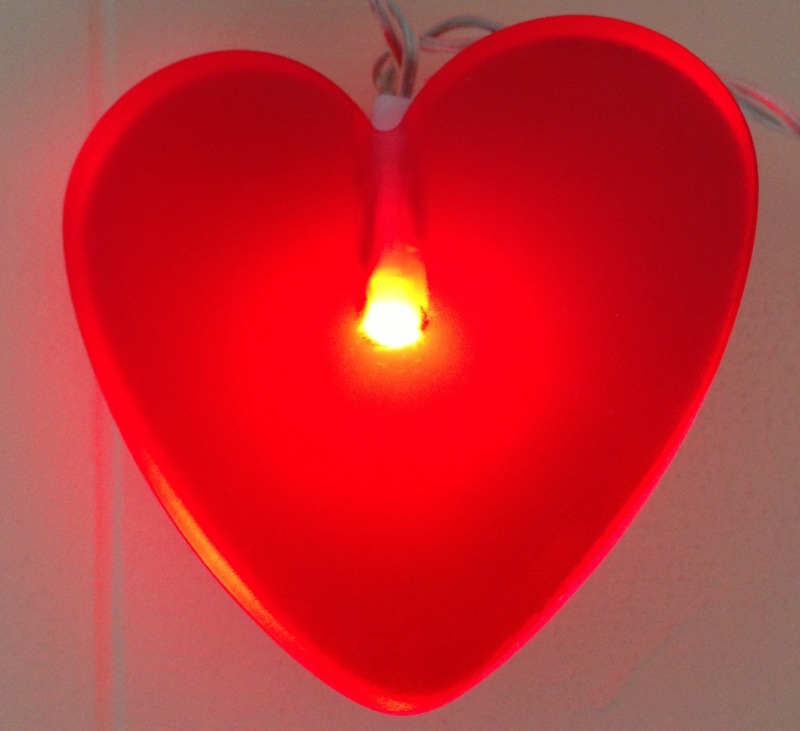 Valentine’s Day felt like a day when anything could happen. Every February 14th, I hoped that whichever boy I liked that year would buy me a school-fundraiser balloon or rose to be delivered to me in class. Or that he’d ask me to be his girlfriend. Or that he’d make some grand gesture that showed me he liked me. This year, on my formerly-favorite holiday, I thought it would be fun for me to kick off a series of SHARING THE LOVE posts about books! I received a few advance copies at ALA a few weeks ago, and I’d love to use them for their intended purpose of talking up upcoming books that I enjoyed. What especially resonated most with me in this book is the theme of “finding your thing.” Mallory doesn’t feel like she stands out or has anything that is really hers, so she (sort of accidentally) sets out to discover those things about herself. I so relate to feeling non-unique and average, and especially would have related to it as a teen. 2. Mixing my lipsticks and applying with a brush for truly custom colors. 3. Absently drawing hearts all over the place. Surprisingly, I actually could go on. But I want to hear from YOU! For a chance to win my Going Vintage ARC, please leave a comment below (along with an email address where I can contact you) telling me one or more of the “things” that makes you you. Edit: We have notified a winner! Thank you to everyone who joined in the discussion here. It was very fun to read your responses. Somethings that make me, me? I’m a very good listener. I’m athletic. I despise citrus (specifically pineapple and grapefruit). I’m good with a one liner, but not so good at telling whole stories. The end. Abby – It’s such a great story. If you’ve loved Lindsey’s other books, I’m sure you’ll love this one too! Pixie is just The Best. Period. I’ve been dying to read this book, so thank you for the giveaway, Mindi! 3) I still send handwritten letters/cards/postcards to people. I actually don’t have Facebook, and let people know that if they need to contact me in the event of an emergency, they can email. Otherwise, snail mail! 4) I love making things for people. Except they’re never really useful – e.g. I make them clay sculptures of donuts or birds. Got to learn how to make some more practical things! have insane determination. I love when someone tells me I cant do something! Not only will I do it, but I will do it well! I have many animals, and a cat that talks 😉 Seriously.. she says mom! Your piano project sounds awesome! 1. I am half terrified/half fascinated with hippos. They have big square teeth and they can run really fast and they kill! Despite that, I think cartoon/stuffed versions are adorable. 2. I am rereading all of my old Baby-Sitters Club books from childhood and blogging about them as I go. I’ve become the BSC/old 90s books guru in my group of friends. 3. My sister and I like to make up insults for each other: pineapple head, sock-wearer, pants-wearer, tree, shrub, whatever we can come up with at the time. 1. I love to wander around old graveyards looking at the worn stones and imagining the lives that were lived in the dash, as they say. They are very peaceful, intriguing places for me. 2. I am an obsessive reader – I get ahold of a book and if it pulls me in I can’t put it down until it’s done, even if that means turning the last page at 2am. I am always shocked when a book doesn’t grab me and I don’t feel that connection. It doesn’t happen very often. 3. I am pretty comfortable without any makeup on. I grew up NOT wearing any makeup until I was in my twenties. Now I love it, but I don’t have to wear to feel like I look okay. I’m sure other people may have their opinions on that one. 4. Finally, I’m a sucker for a good quote. Words can really inspire or motivate me and I just love finding a great quote and posting it on my wall or Pin-ing it for reference later. Gotta love great words! Thanks for this fun opportunity. I can’t wait to read Lindsey’s latest! I am the same with books! Which is why I don’t get to read as much as I’d like. I have a hard time pulling myself away to do anything else that needs to get done! I would LOVE to be comfortable without makeup on. I do go to the gym and such without makeup, but my skin isn’t great, so I much prefer the more photo-shopped-looking effect that makeup has. One of things that makes me ….me? I think that would be my listening and coping skills and turning a negative into a positive . Baking!! I am really addicted to it. So much fun!!! Oh and tattoos. I have a bunch 🙂 Some literary tattoos as well. 2. I’m also half Korean. It’s affected the way I eat, the way I approach my school work, and the way I interact with people. I’m proud of my heritage. It definitely makes me unique. 3. I’m also a really good listener and encourager. I’m more shy, not very outgoing, but I am definitely there for my friends through thick and thin. Awww, this is so nice of you! Thank you for giving an ARC of this book away! Something about me, eh? Hmm. I have a ridiculous obsession with all things purple. It’s not just my favorite color. Oh noooo, purple is like, a lifestyle choice. Good thing my parents moved to Baltimore, Maryland before I was born, because the only other team in the NFL that has a purple jersey is the Vikings. Ewww, Vikings. Also why I like Fiorentina, in Italian soccer lol. But my obsession with purple goes beyond purple – I color-code EVERYTHING. Take my blog for example; the reviews, the posts, the giveaways… all the fonts have to match the featured book’s cover, or some image in the post (and if there is no image, then the defualt color is light purple. Of course). Heeee! That is so cute! Hmm…this is hard for me…but I guess, if you asked someone else they would say that I am a damned good hostess. I love entertaining and preparing fun food and drinks for whoever may be coming to my place for whatever we happen to be celebrating on any occassion. It could be a major holiday, someone birthday or a DVD release party. Although I do tend to stress out during the planning, because I want everything to be perfect for my guests, in the end, everyone (including myself) seems to have a good time. I am also very good at closet organzing. If you want your shirts, sweaters, jackets, pants neat and orderly, than I’m your girl. Not only is my closet color coordinated, it’s also organzined by season and style. Work clothes in one section, play clothes in another. My t-shirts are even arranged by type: Disney (organized by character), Twilight (organized by movie), Music, Movies and Snarkiness. It’s a sickness, I know. The other thing I am very good at is being a redhead. Just saying. I’ve had every color hair under the rainbow and red just seems to suit me and my personality best. And I’m the same with entertaining. I love planning the menu and trying to make it perfect, but I do stress out. Which is why I don’t do a lot of it. But I have so many cool platters and serving dishes, so I need opportunities to use them! Me too, MIndi!! Especially for Christmas and Easter! It’s scary how many chip and dip platters and holiday themed glasses I have. 1) In basketball, hockey, and soccer I shoot left handed/footed, but I’m right-handed. 2) I’m allergic to chicken. Weird, right? 3) I was born in the Yukon. Yes, dogsleds and igloos. 4) I’m OCD about germs but I don’t mind getting dirty when I’m gardening or camping. Apparently, I believe there is clean dirt and dirty dirt. 5) I’m Canadian, so sadly I can’t win the ARC. I will buy it when it comes out though! Thanks for telling us about it. I had a friend who grew up in Alaska, which people in the continental U.S. would often mix up with the Yukon. They’d ask, “Did you live in an igloo? Did you have a pet polar bear?” It drove him crazy. But it sounds like you could almost have answered “yes” to those questions where you were born!